Blossoming with roses and open-cut calla lilies this exquisite flower bouquet will bring wonder and elegant beauty into their everyday. 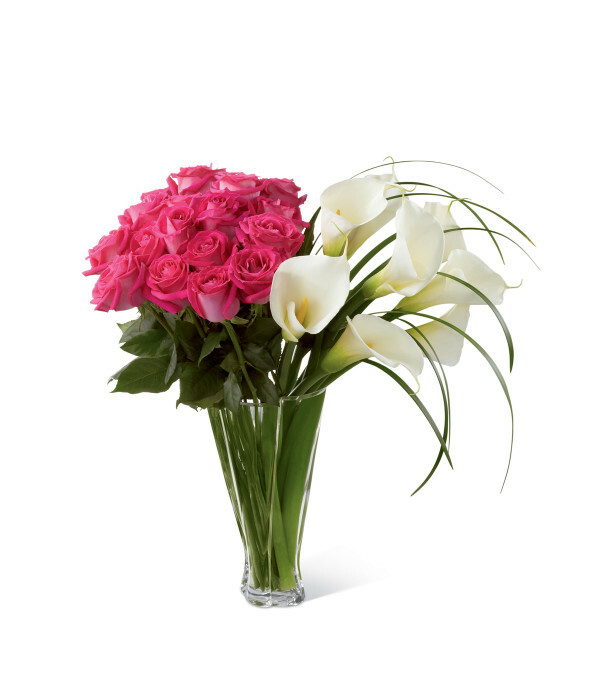 Brilliant fuchsia roses are arranged next to white open-cut calla lilies accented with lily grass blades for an impressive effect. 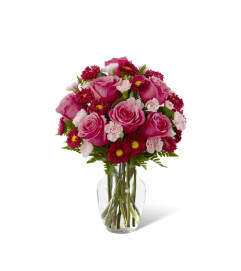 Presented in a superior clear glass twist vase, this flower arrangement is a wonderful gift that will shower them with love and happiness. 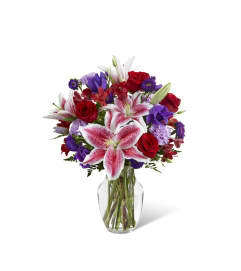 Includes: 18 stems of fuchsia roses, 8 stems of open-cut calla lilies, lily grass blades and a superior clear glass twist vase.